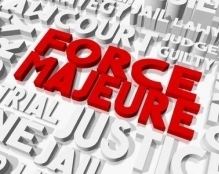 Force majeure clauses in contracts of varying types often require the party who suffers a force majeure event, which prevents its performance, to exercise ‘reasonable endeavours to avoid or mitigate’ the force majeure event. Often, a party affected by a force majeure event will either pay lip service to this obligation and/or only take steps that it considers are reasonable to take in its own commercial interests. The English Commercial Court in the Tullow Seadrill decision  has re-emphasised that such reasonable endeavours/mitigation obligations impose a significant burden on a party seeking to rely upon a force majeure clause. In particular, the relying party must take into consideration not only its own commercial interests but also those of the innocent party when deciding what steps is can and should take to avoid or mitigate the affects of a force majeure event. In the Tullow Seadrill case, Tullow rented an offshore drilling rig from Seadrill which it intended to use to drill specific fields offshore Ghana. Due to a dispute between Ghana and the Ivory Coast, the intended fields were closed for drilling by the Ghana government. Tullow relied upon the force majeure clause in the drilling contract, which required Tullow to take reasonable endeavours to mitigate the consequences of a force majeure event. Tullow cancelled the drilling contract, relying upon the fact that it could not use the rig to drill the intended fields, which were the only financially viable fields for it to drill. The Commercial Court decided that whilst Tullow had reasonably taken into account its own commercial interest when terminating the contract, it had not taken into account Seadrill's interests, which under the force majeure obligation it was also required to do. Tullow ought to have worked other fields in the area not affected by the closure, even though that would not have financially benefitted Tullow but would have been in Seadrill’s commercial interests. 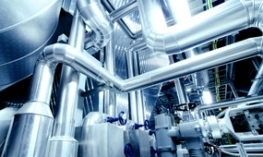 Force majeure clauses tend to be viewed as ‘boilerplate’, sometimes lifted from other contracts so that they might not actually fit the subject contract very well; we often see that in practice. 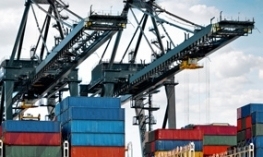 It is worthwhile properly drafting a force majeure clause so that it not only covers likely events which would prevent performance, but also so that the parties’ obligations upon a force majeure event are clear, understood and proportional in practice.